1. Paramount Gold and Silver Corporation is an exploration mining company that develops precious metal, gold, and silver properties in the United States and Mexico. PGC holds 100 percent interest in the San Miguel project in Chihuahua in Northern Mexico which has been listed as one of the largest and fastest growing gold mining concerns in the world. 2. Midway Gould Corp is an excellent choice for gold mining stocks which holds mining concerns in Nevada and Washington. Midway is concerned with exploratory mining as well as developing gold and silver mineral properties. 3. NovaGold Resources is an excellent gold mining investment since its stock prices are currently low, but are rising rapidly. NG develops mining operations in Alaska, British Colombia and the United States. 4. Anglogold has mines in South Africa and is one of the largest gold mining concerns in the world. Gold production annually is over 6.5 million ounces and stockholders worldwide realize gold mining in South Africa far exceeds the normal five to ten years mining life. 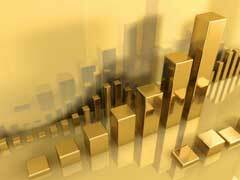 Investment in Anglogold mining stocks could be one of the best gold mining stocks to consider. 5. Yamana Gold is a Canadian based gold mining company with a diversified portfolio of gold production. With low cash costs and operations in stable mining jurisdictions, this company is expecting gold mining to increase by over 60 percent in the next several years. 6. Brigus Gold as one of the best gold mine stocks to purchase. Birgus’ mission statement lists a strong management team with financial development and exploration expertise plus a vested interest in success. 7. Gammon Gold in Ocompo, Mexico is a good concern that could prove a high yield on gold mutual funds. The future is bright with four new gold veins added to their already existing properties. 8. Northgate Minerals with holdings Australia and Canada is currently experiencing unprecedented growth from its consistent exploration successes. 9. Taseko Mines based in Western Canada has earnings over 300% from previous quarters. This is one of the best gold mine stocks to purchase, but you should purchase before the next quarter to avoid rising stock prices. 10. Newmont Mining based in Colorado has a 30 percent high earning rate and its reputation as a mid-level mining concern is increasing.